Magic Carpet Cleaners are courteous and professional with years of experience. We are using latest cleaning techniques and machine and we are trying to provide the best experience in Haggerston. They are background checked and you can count on them. Get rid of all of those ugly, old stains on the carpet. Just call Magic Carpet Cleaning. Check out our prices for professional carpet cleaning service. Magic Carpet Cleaning is using only eco-friendly and effective cleaning agents for best results. 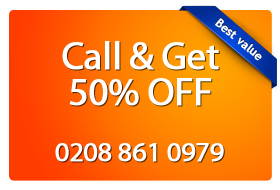 Magic Carpet Cleaning have among the best services in your area. Check the prices for the service you need. They are quite affordable. Haggerston E2 dry carpet cleaning uses a powder cleaner spread on your carpet and then it’s vacuumed to pull up dirt and grime. Haggerston steam carpet cleaning uses the cleaning power of steam to take on your tougher cleaning jobs and disinfect your carpet. Haggerston upholstery cleaning, rug cleaning and stains removal tackles smaller jobs too. Have a dirty piece of furniture or tough stain? Haggerston will be able to help you with that. Count on Haggerston E2 for professional and advanced carpet cleaning services. You can book an service on 0208 861 0979 or just use our on-line booking form. Our customer support assistants are available 24/7 for you convenience.